The scientific and philosophical thought in the sixteenth and the seventeenth centuries are closely interrelated and linked together. 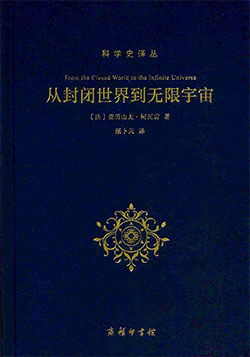 The author interprets the revolution in terms of the change that occurred in our conception of the universe and our place in it, and illustrates the primacy of this change in the development of the modern world. A French philosopher and science historian of Russian origin. In 1919 he left Russia permanently and settled in France where he resumed his studies in philosophy. During the Second World War he took refuge in New York, and taught at the New School for Social Research.